20ct., 7.62x39mm cal. 101gr. Incendiary ammo. Made by Winchester. The cases are factory, Nickel, boxer primed and fully reloadable. 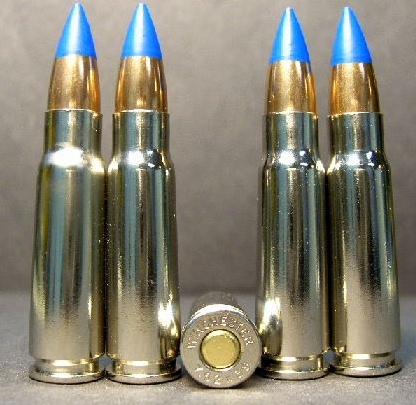 Since Winchester rarely ever manufactures nickel cases let alone ammo like this in any caliber even for the U.S. military (and especially not in foreign military calibers) this ammo is very rare. We have only a very limited amount so don't miss this chance to get some one-of-a-kind ammo for yourself. The bullets produce a bright flash of light and fire and a loud bang when striking a hard surface! Packaged in a plastic, vacuum sealed pack. These rounds are 100% non-corrosive!